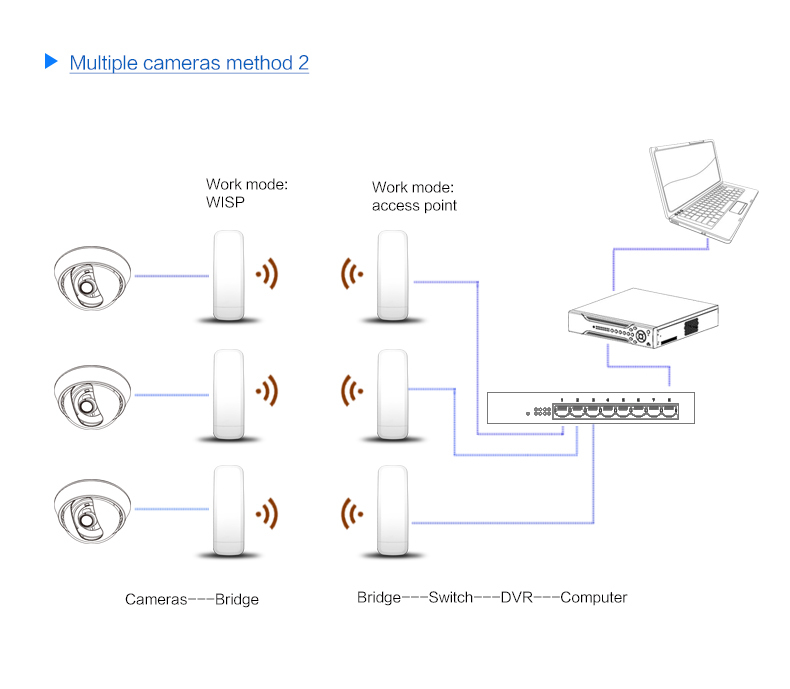 ​​Noted:The 2-3km distance based on Point to Point Mode with 2pcs CPE ,without obstacle ,and also according your network environment,not 100%,hope you can understand .thanks! 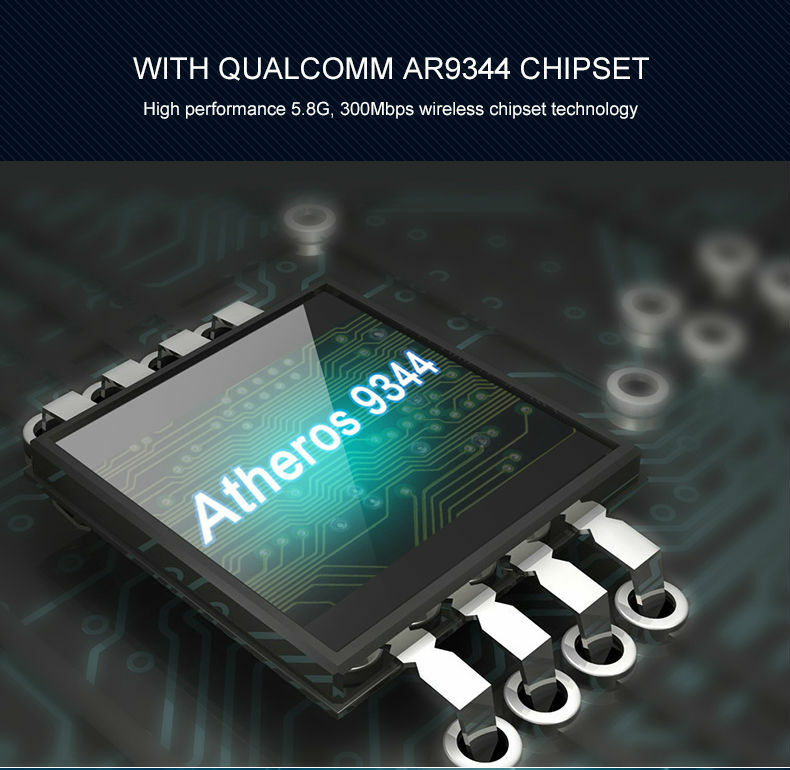 standard, Atheros chipset, it supply you a stable and freely wifi networking. CPE-880 with wonderful RF performance, receive sensitivity can be -95dBm, then data rate can be 300Mbps, improved hardware wifi interference, it is best choice for video and security industrial. 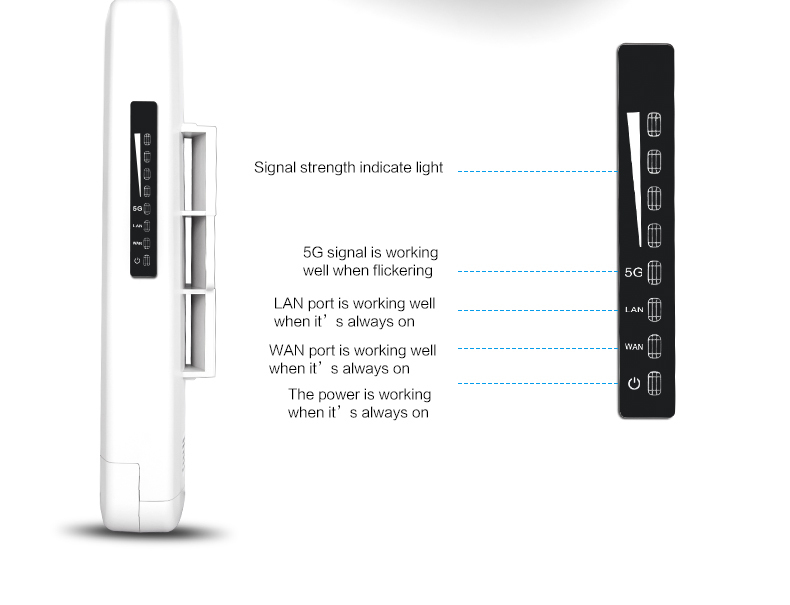 What’s more, with 15dBi high gain antenna, 30dBm high power output power, the wifi distance more than 2000 meters. 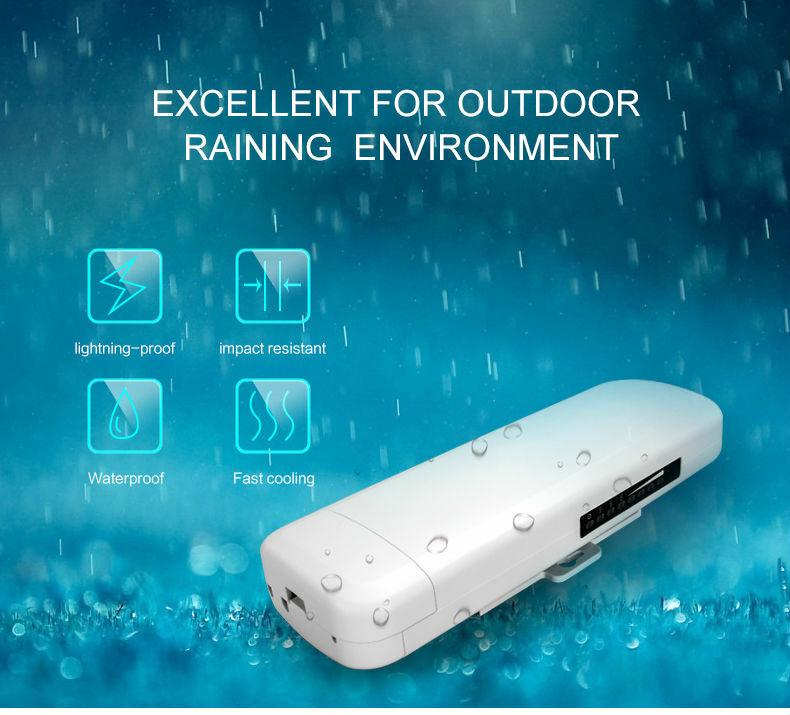 CPE-880 with ABS waterproof, dust proof and sunscreen shell, avoid the damage from dust, thunderstorm weather. CPE-880 comply with IEEE 802.11a/n standard, 300Mbps high speed, with Atheros industrial solution, it is a wifi bridge with low power consumption, strong security. 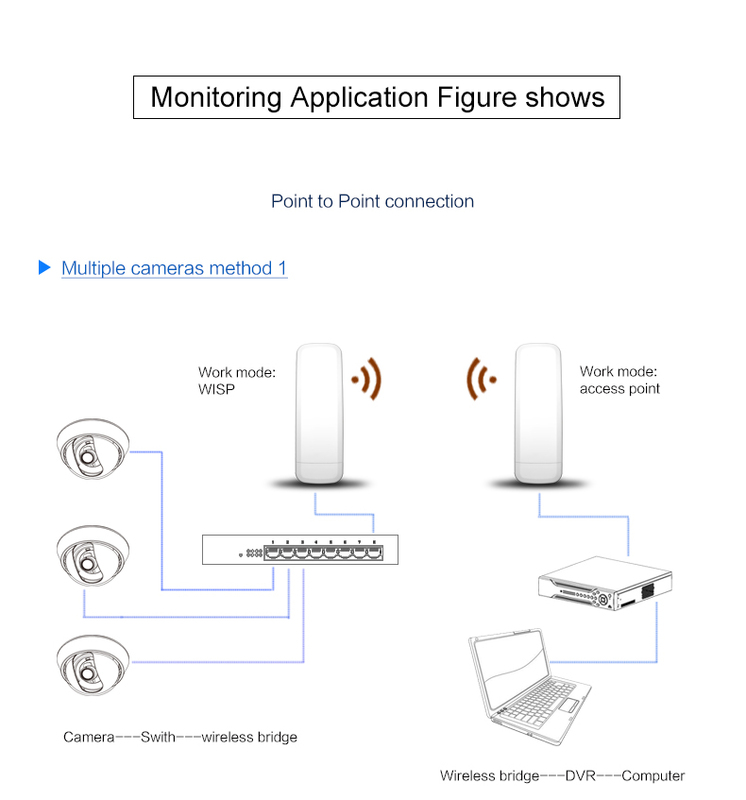 With PTP, PTMP, bridge operation mode, widely be used in voice, video, data transmission in long range wireless monitor industrial. 500mW High Power, 15dBi High Gain Antenna, Long Range wifi Device in market. CPE-880 with external power amplifier,500mW true power, 15dBi high gain antenna, the wifi range is more than 2000 meter, it is the device with most stable performance in long range, max load users, longest wifi range. 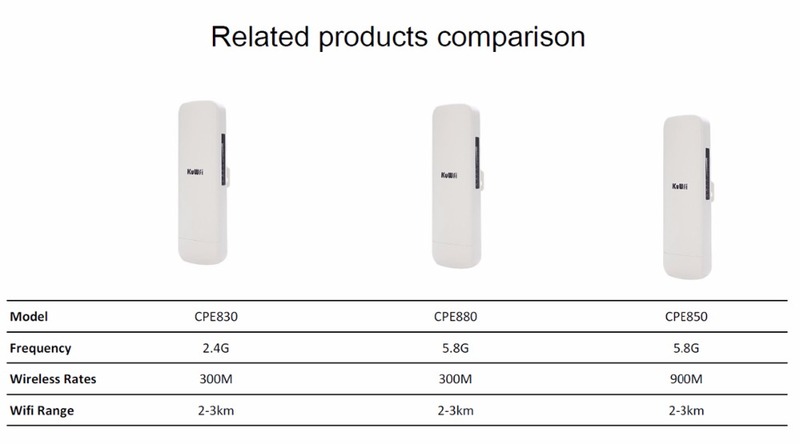 CPE-880 with frequency of 5.180~5.825GHz, with wireless backbone channel of Europe, Japan, China, it avoid the same frequency interference problem, full meet with data transmission in fast speed, low delay, high stability requirement in wireless monitor. With operation model of wifi repeater, it is a wifi device to bridge the exist wifi signal and transmission out the Ethernet. 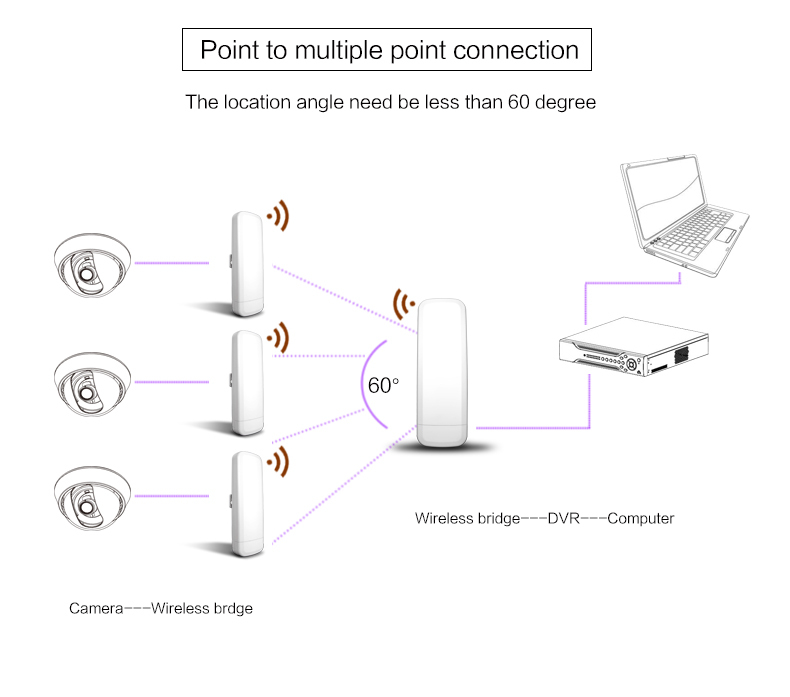 With operation of AP, it can expand the wifi signal, then share with others. 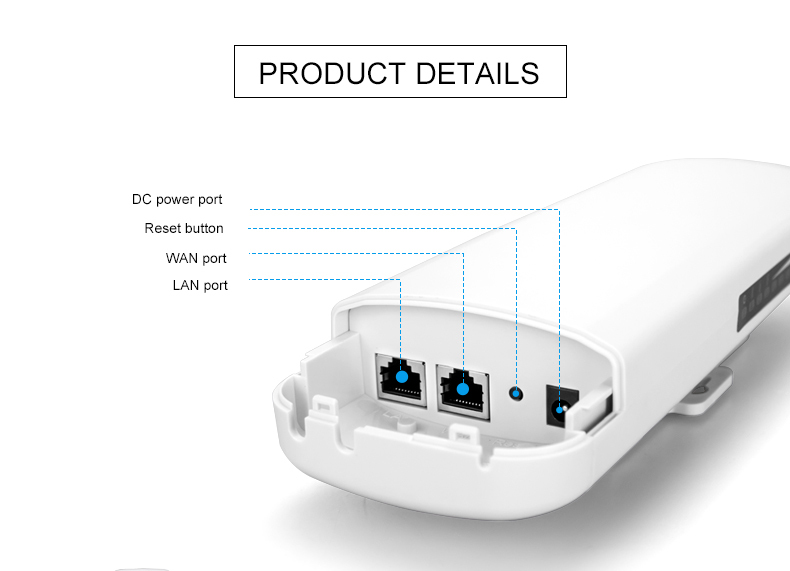 The device has integrated Power over Ethernet (PoE) for easy installation and lower cost, with 24V/48V PoE, it can be installed in areas where power outlets are not readily available, eliminating the mess of altering existing network infrastructure. CPE880 with humanized configuration steps, simple to complete the entire system configuration, supply more efficient service for your networking. 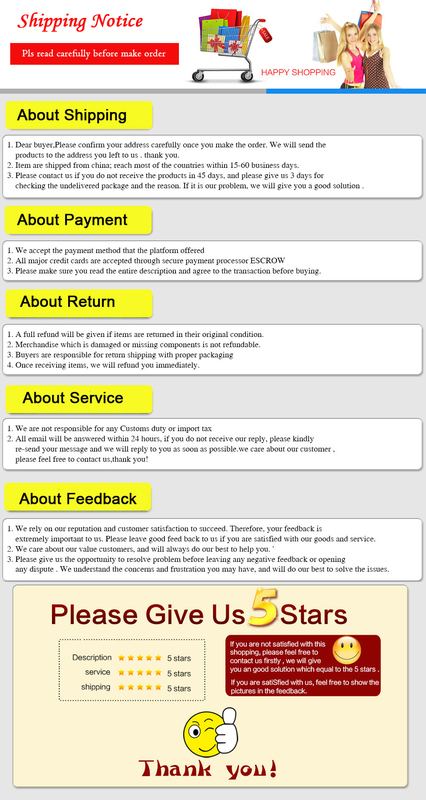 CPE880 support IP bandwidth control, DDNS, firewall, traffic statistics, watchdog, restart in a limited time, together with remote control in restart device and restore to default.